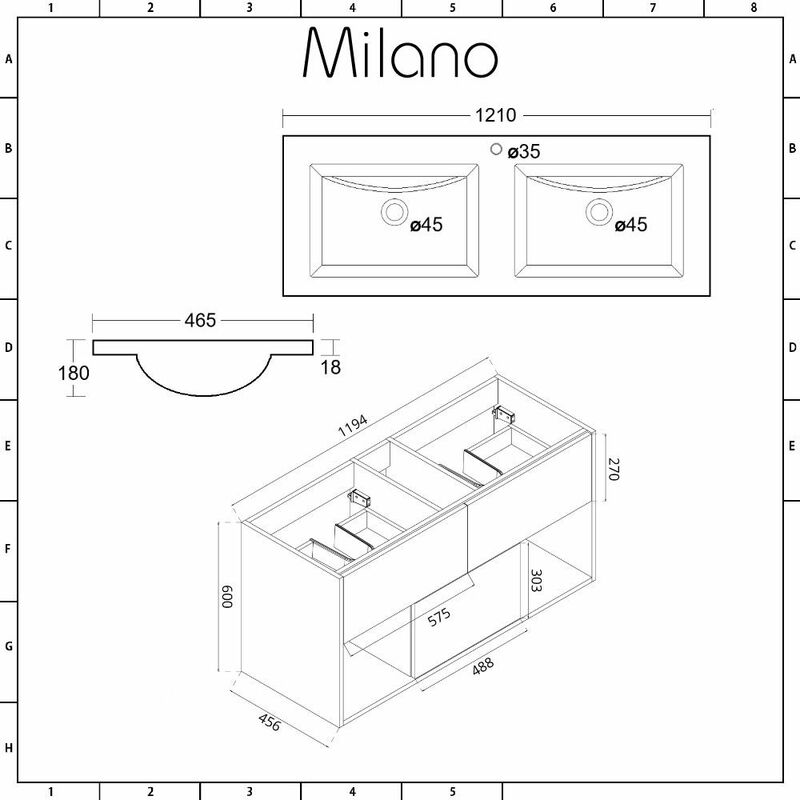 Give your bathroom a stylish makeover whilst adding extra storage with the wall-mounted Milano Oxley 1200mm vanity unit and double basin. 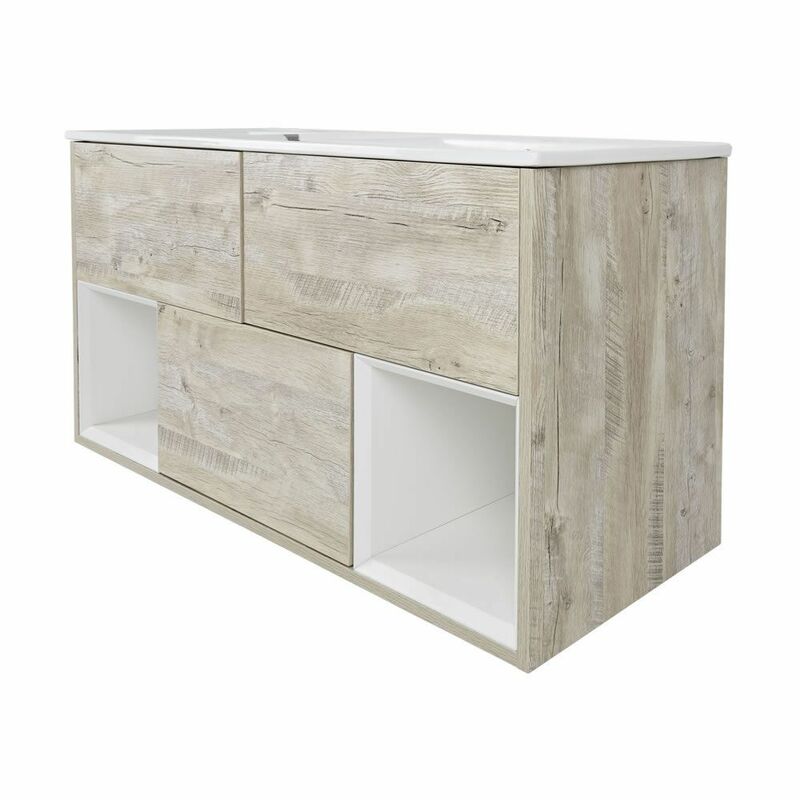 Made from moisture resistant engineered wood for long-lasting durability, the Oxley vanity unit features an attractive light oak woodgrain effect finish. 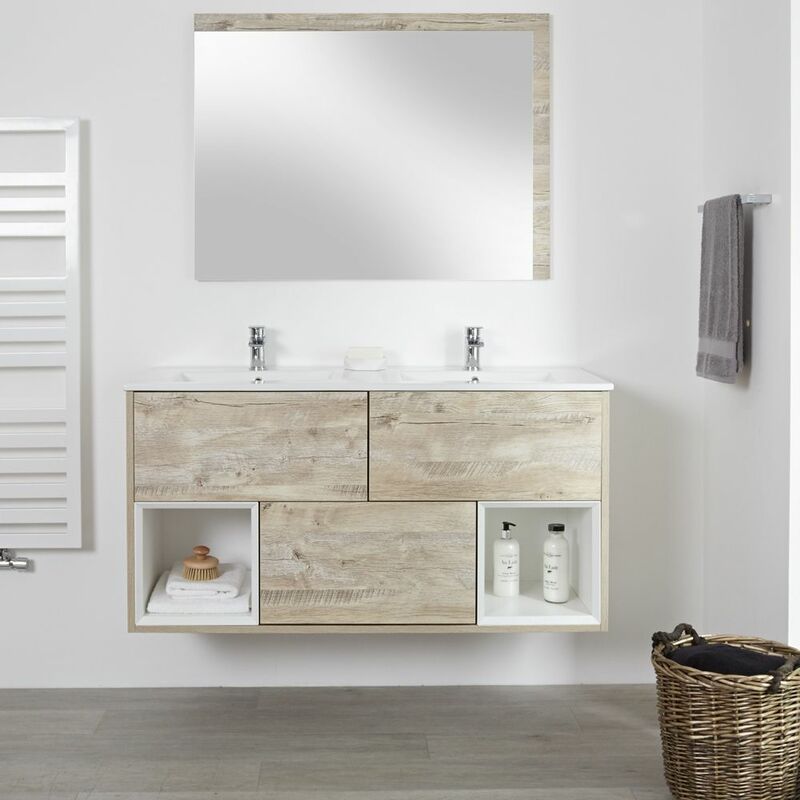 Your bathroom essentials can be kept discreetly stored out of sight in the three push to open soft close drawers and on the two open shelves to help keep a sleek, minimalist look in your bathroom. 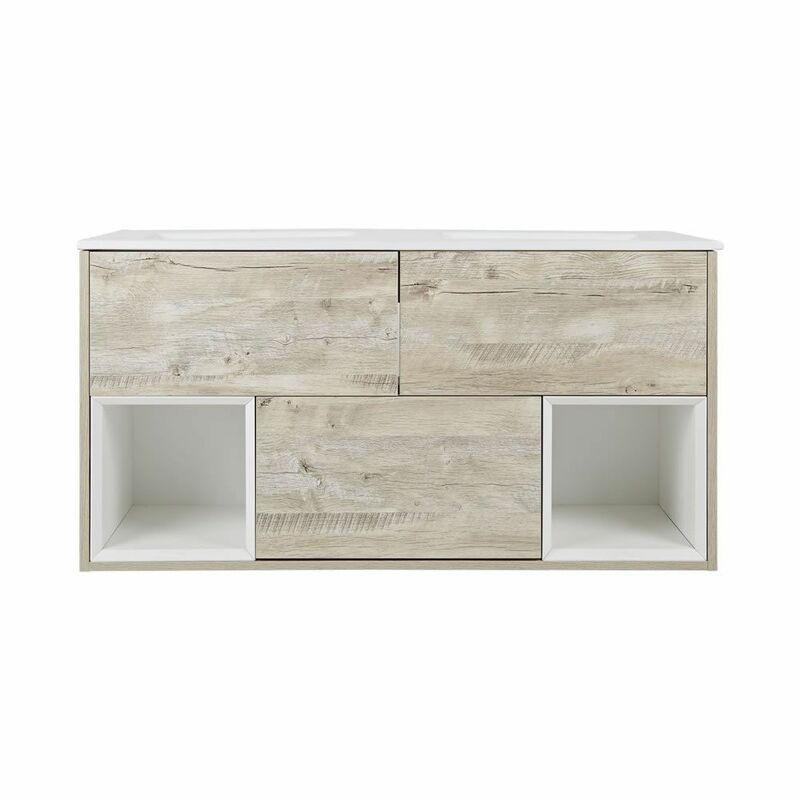 The double basin is made from high quality ceramic and finished with an easy to clean white glaze. 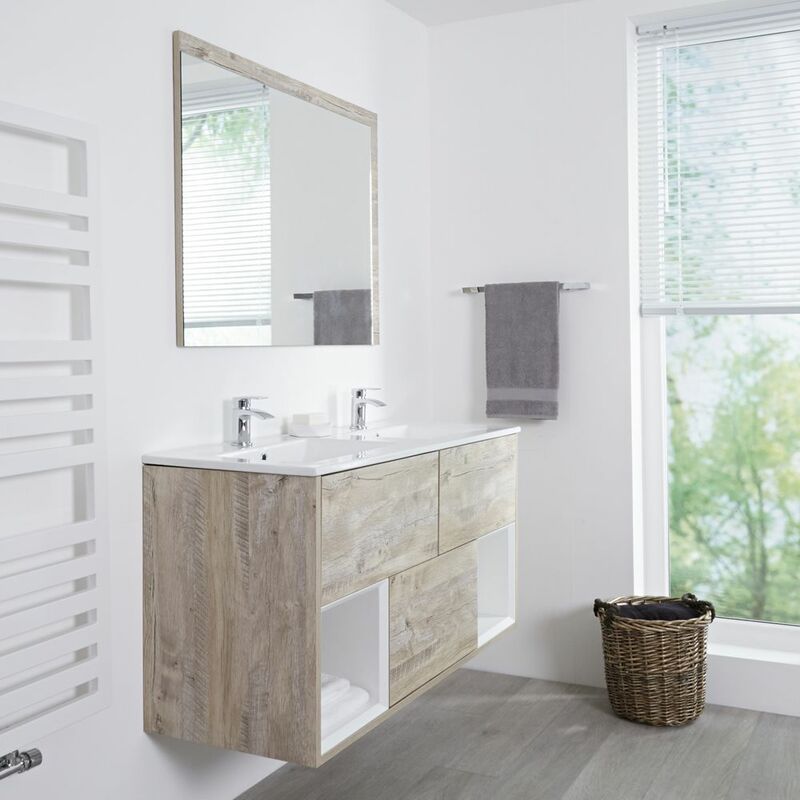 The basin features two single tap-holes, allowing you to select the mono taps of your choice from our range to complete the look. 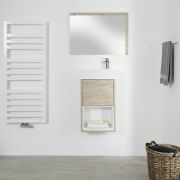 Continue the theme in your bathroom by pairing the vanity unit with matching items from the Milano Bexley light oak range, such as the WC unit. 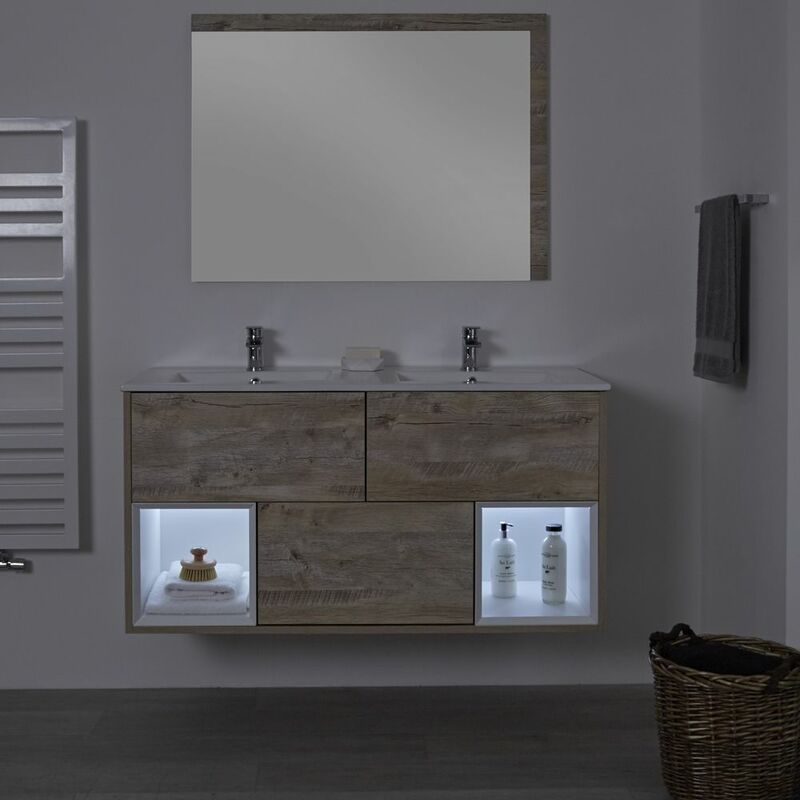 Further enhance the elegance of the vanity unit by choosing the optional energy efficient LED light to illuminate the shelves and their contents – perfect for those night-time trips to the bathroom!